Today I’m sharing with you a fun little pattern release, and one of the versions is free! Designs by Call Ajaire completely redesigned her site this year, and she has so many plans in store for everyone beginning with this lovely knit dress. No this definitely isn’t the knit dress version (haha! ), it’s the top (view E), and it’s an early tested version, but you can see the elbow length sleeves here. Let me begin by saying most free patterns don’t come with sleeve options, which you probably already know (and if they do, it’s usually one size). They’re typically dolman style or sleeveless, and this is because sleeves take time to draft and fit. I was surprised to hear Ajaire is generously giving away all of the sleeve options, along with the dress version, in sizes NB all the way to 12! Here’s the sleeveless version of the tunic (view F). 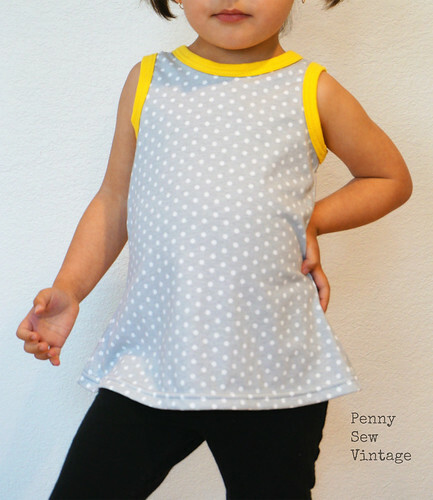 This knit top also features a neck binding, not a neckband, giving it a more finished look. The same method is used at the arms, and I although I love handmade, I’m not crazy about my clothing looking “homemade”. It’s just a personal preference of mine. I was so proud of myself too with how it turned out. I used my coverstitch (wooly nylon thread in the looper), but you can also use a twin needle or a single stitch line (most of the other testers finished it that way). Ajaire put together a great video to help explain the process of sewing on a neck binding. I love the more fitted look of the bodice, and the silhouette of the dress is also quite lovely! Unfortunately, my girl tucked that version away in her purse, and by the time I found it, she had developed quite a series of fevers, so no pictures yet. 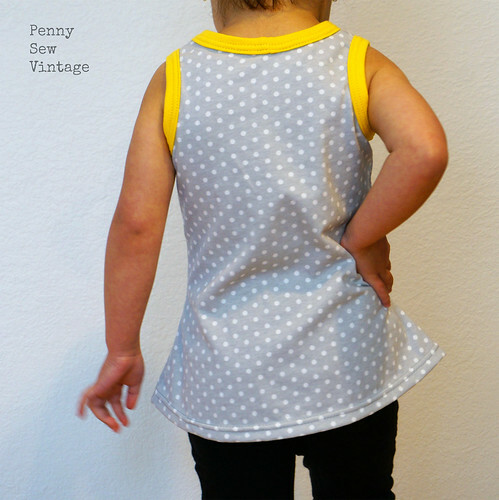 You can see the shape though of the tunic here from the back; so feminine! The solid dress version (view G) is the free version, with all of the sleeve lengths, but she also has the top, tunic, and maxi length versions as a paid pattern, as well as a special crossed version which I LOVE! You guys this is not just your same old knit pattern with color blocking possibilities. I made mine in one color to make sure fit went well before mixing fabric types. How amazing does this look in one color?! The fabric is the same Liverpool from CaliFabrics as I used to make this dress, and it looks so awesome in this Crossroads too. The seams are reverse French seams that meet up in the middle. I must admit I was a bit nervous about them not matching up, so I took extra care to ensure they did by using wonder tape and machine basting. I wasn’t messing around people. I’m so proud of this fun dress! Although it’s not the solid front, you can see what the free dress version will look like, and this one has the short sleeves. 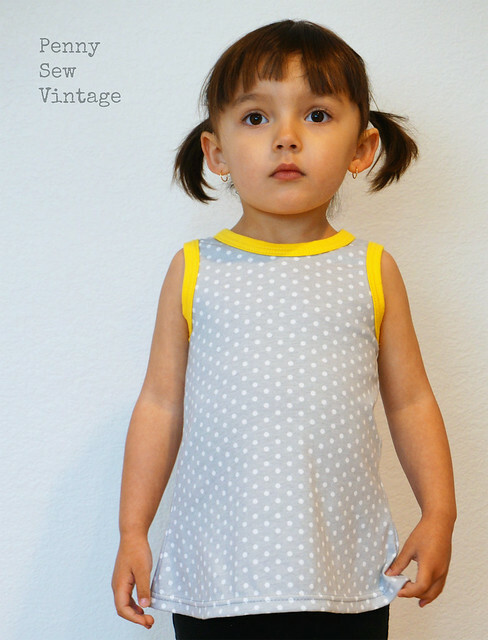 To get your copy of the free dress pattern, you can sign up for Call Ajaire’s newsletter. Also you can find the Designs by Call Ajaire Facebook group to show off your makes or ask pattern questions. Finally, to buy the Crossroads pattern with everything included, just stop by her new shop and pick it up!